Two friends find themselves bullied by two common enemies but also find a way to keep going. As a kid, Jim wrote short stories to occupy the long winter days in Fargo and Detroit, in hopes that he would one day be the next Franklin Dixon. In college, he was exposed to the theatre and everything changed. He has since acted, directed, built sets, swept, and anything else it takes to ensure the show goes on. But his first love is writing. Though, he no longer thinks he’ll be the next Franklin Dixon. His work has been part of the One-Minute Play Festival, the Festival of Independent Theaters, and the Nouveau 47 Holiday Play Festival. He’s also written for The City Life Supplement, Queertown, and the Texclectic Radio Hour. Jim lives in Dallas with his wife and their scores of children. Maia was born and raised in Paraguay. Before she studied at the Stella Adler Academy of Acting and Theater in Los Angeles, she lived in Dubai where she worked as a flight attendant and got her BA in Marketing. She speaks fluent Spanish, English and German. On stage she was recently in 'Been So Long' written by Ché Walker and directed by Austin Iredale for the Hollywood Fringe Festival 2017, she’s also worked with acclaimed director/playwright Tim McNeil on ‘Isaac Babel and the Black Sea’ and ‘Purplish’. Her film credits include 'Paloma' directed by Jean Lee for AFI's Directing Workshop for Women, and the web series 'Swing' written by Alex Aves and directed by Blake Lewis. Maia’s debut as a co-writer, producer and lead actor is on the feature film 'Pecado Original' directed and co-written by Jean Lee. Maia is grateful to be debuting as a director with ALIDP because our aim as actors and directors is to communicate, to reach out and start a conversation about issues that need to be addressed, in this case suicide prevention. Katie Booth is an exceptionally talented actress and writer from Las Vegas, Nev. Film and television credits include Unstrung (ABC Family), Out of Sight, Out of Mind (Brian Follmer) and Miss (Naptime Video). Theater credits include The Stand In (Bootleg Theatre), Adam and Eve (Theatre of NOTE) and Red Light Winter (Complex Theatre). Katie extends her deepest gratitude to Mom and Dad, Kelly O'Malley, Salim Aliaga, John Jack Rogers, Maia Nikiphoroff, Jim Kuenzer and the Stella Adler community. Love and light to erry'body. Patrick was born in New Jersey. Feature Films : Netflix Original "#realityhigh", "Victor", "Secret In Their Eyes"
Sebastiano Pestoni is a Swiss actor now living in Los Angeles. He had his first experience on stage when he was 10 years old and instantly fell in love with it. During his teens, he acted in numerous short movies and theatre productions and, eventually, in 2014, he had a lead role in the short movie Take Control - Tu Hai Il Controllo (dir. Marco Bitonti) which premiered at the 2015 Cannes Film Festival. The short movie had at its core themes as Sexting, Cyberbullying, and Suicide. Likewise, A Light In Dark Places is an important event to create and promote a constructive dialogue around those same, often avoided, topics, specifically the one of suicide and Sebastiano is both honored and excited to be part of it. 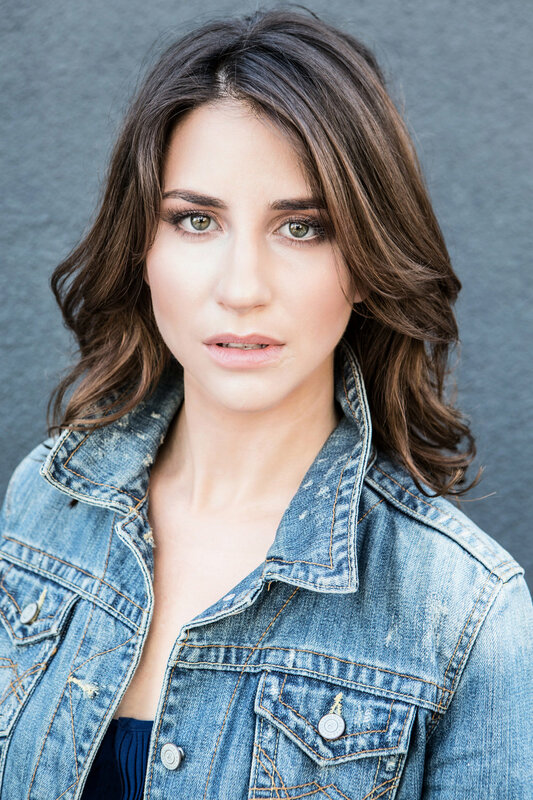 Alexandria is a current student of The Stella Adler Conservatory and is about to start Play Production III of A Month in the Country next term. Originally from Cincinnati, Ohio where she studied at the Cincinnati Actors Studio for three years before moving to Los Angeles. At Stella, she has performed in productions such as Musical Comedy Murders of 1940s directed by Chris Thronton, Minor Demons directed by Rick Peters, and as June Bug in Machu Picchu, Texas directed by Bonnie McNeil and written by Tim McNeil. She was also Assistant Director in A Candle to the sun, Golden Boy, and Man from Nebraska directed by Rick Peters. Alexandria is extremely grateful to be part of A Light in Dark Places and it’s important message.